A Breckenridge drug case that led to charges against 21 people began after an August overdose death where a man unknowingly bought cocaine that had been laced with methamphetamine, documents show. 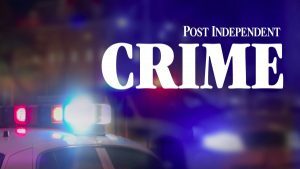 After interviews with the man’s friends, police determined he had likely bought the drugs at a bar, prompting the investigation. 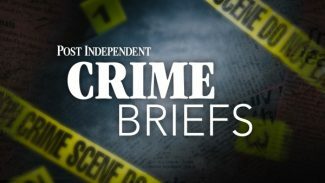 The District Attorney’s Office and Breckenridge police released the names of 13 people who have been jailed since a Dec. 14 wave of arrests stemming from an undercover drug investigation. Twenty-one people were charged throughout the two-month operation, and police said only one of them hasn’t been arrested yet. The operation received $4,000 in cash for undercover buys from the Gore Range Narcotics Interdiction Team (GRANITE) in neighboring Eagle County and the District Attorney’s Office. More than 40 law enforcement officers from Breckenridge, Frisco, Silverthorne, Dillon, Leadville and the Summit County Sheriff’s Office assisted in the effort, which centered on Breckenridge. Arrest affidavits allege that the individuals charged sold cocaine to undercover officers at bars and restaurants around the county from October to early December. District Attorney Bruce Brown has said that his office is considering referring the cases to state regulators, who may decide to revoke the licenses of businesses if they were found complicit in drug dealing. 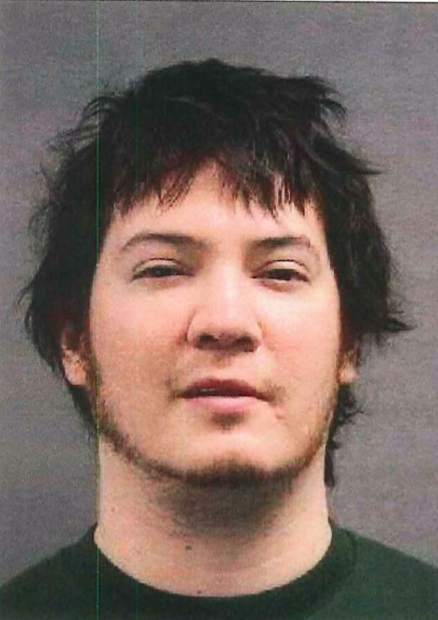 A staffer at his office said that The Mine, a bar in Breckenridge, has been shut down after the owner, 26-year-old Benjamin Rector, was arrested and charged with allegedly selling a half-ounce of cocaine to an undercover officer. According to an affidavit, he told the officer to pass $350 cash over the bar and “say it was a settlement for a monthly bar tab” and then put the money into the cash register. 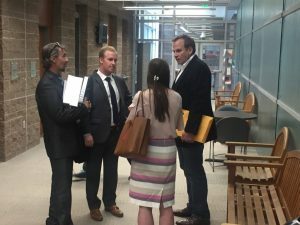 Not all of the people named appear to be directly connected, but affidavits provide a rough picture of what McLaughlin described as a large, interconnected web of drug dealers operating out of local businesses. On Dec. 7, undercover officers said they contacted Rector to buy a half-ounce but were referred to Julien Lindsey, 28, who coordinated the sale with a supplier the next day at the Blue Stag Saloon in Breckenridge. Lindsey was charged with two conspiracy counts, but the man who made the sale hasn’t been arrested. William Conklin, 28, also sold officers cocaine inside the Blue Stag, documents show, first through a middleman named Nathan Brown and then directly while inside the saloon. Conklin was arrested during the Dec. 14 roundup and charged with three felony counts. Brown was arrested later, although the details of his case could not be immediately obtained. On Nov. 18, Jacob Debuck, 32, and Brent Tumulty, 37, allegedly sold officers a gram of cocaine outside of the Lake Dillon Tavern. According to an affidavit, officers met Tumulty again on Dec. 2 at Lakeside Bowl in Dillon, where he was working as a bartender. After they asked to buy cocaine from him, he allegedly went into a backroom to “talk to his cohorts” and upon returning slid a cigarette box containing a bag of cocaine across the bar. The officers then put their cash in the box and returned it, the affidavit says. 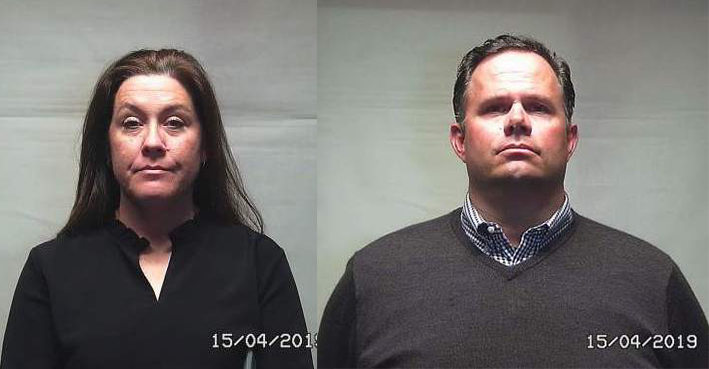 Debuck and Tumulty were respectively charged with five and six counts of conspiracy and possession. At Hero Sandwiches in Breckenridge, Nicholas Purdy, 26, allegedly sold officers a gram of cocaine after retrieving it from Jesse Redding, 27, who was inside the restaurant. Spencer Cook, who is named in the affidavit, later introduced officers to Redding, who in the following weeks allegedly sold cocaine to them three times at Hero. Purdy was charged with two felony counts and Redding faces nine. Cook was later arrested, but a list of his charges was not immediately available. Arrest affidavits for three of the people charged didn’t indicate connections to other individuals. 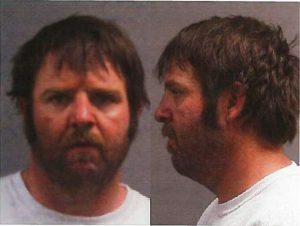 John Humphries, 38, sold officers a gram of cocaine behind the Gold Pan, a bar in Breckenridge, records say. According to an affidavit, he told officers to contact him in the future for additional purchases for cocaine or MDMA, also know as ecstasy. He was charged with one count each of possession and distribution. Mary D’Antoni, 27, allegedly sold cocaine out of her car to officers, once at a state park and again near the Keystone Science School, according to an arrest affidavit. She faces four counts for distribution and possession. An arrest affidavit for Brandon Austin, 30, alleges that he sold a total of more than 45 grams of hallucinogenic mushrooms to officers over four separate occasions. He faces eight counts. Chief McLaughlin said that only one of the 21 people charged in the operation remains at large. Investigators are still following up on leads and trying to connect the dots further.